The KONG Training Dummy can be used as a tool to help train your dog and is particularly useful for improving hunting and fetching skills. The Dummy floats on water and is easily visible thanks to its bright orange colour. Train your dog with this toss-and-retrieve training dummy. 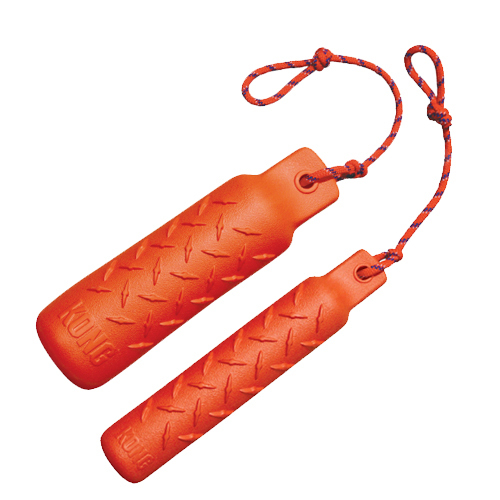 The dummy is made from durable material and is ideal for throwing, pulling and retrieving exercises. The Training Dummy also floats and is highly visible in water. Have you used KONG Training Dummy before? Let us know what you think about this product.